French artisans handcraft each piece in the Jars Ceramics Tourron Avocado Green dinnerware from Distinctive Decor. Subtle variations in glazing create a unique avocado green finish with a high-gloss shine. This is exquisite dinnerware hand made in the South of France that is especially strong, durable and resistant to scratches and chips. Each piece is unique. Each is the work of more than a dozen Jars Ceramics artisans whose craftsmanship and careful inspection creates ceramic ware that actually qualifies as sturdy stoneware. Our Jars dinnerware is microwave safe and dishwasher safe. Browse our elegant designs in Tourron style plates, bowls, mugs, pitchers, salad oil bottles, gorgeous two-piece baking sets and more. 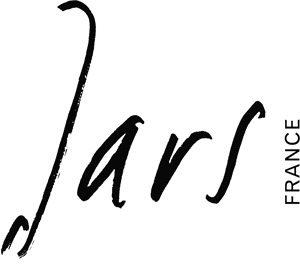 Named for French founder Pierre Jars, Jars Ceramics use a vitrified process that involving firing each piece in kilns at extraordinarily high temperatures that reach up to 2,340 degrees Fahrenheit. The glazes rely on animal, vegetal and mineral substances. No finish is completely alike. 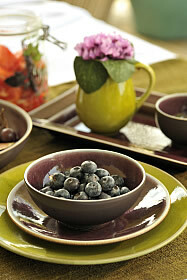 Our Jars Ceramics tableware is perfect for formal and elegantly casual dinner service. Jars Ceramics Tourron Avocado Presentation Plate 12.5"
Jars Ceramics Tourron Avocado Rectangular Dish 6.3"X9.4"